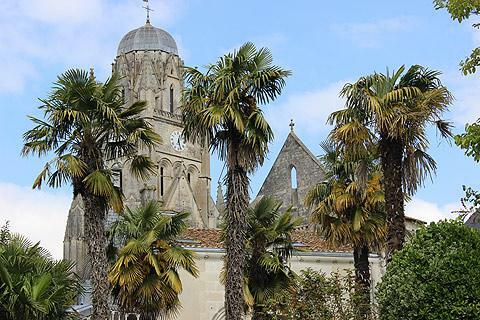 The Roman period is well represented by monuments in Saintes, as are the medieval and later periods, and there is a great deal to enjoy when visiting this lively town. Because of its gallo-roman, medieval and classical heritage Saintes is officially listed as a 'Ville d'Art et d'Histoire'. 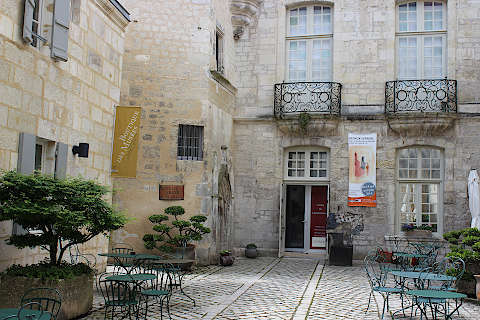 France This Way comment: apart from the fascinating La Rochelle, Saintes is our favourite town in the Charente-Maritime department of France and we recommend that you visit when in the region. 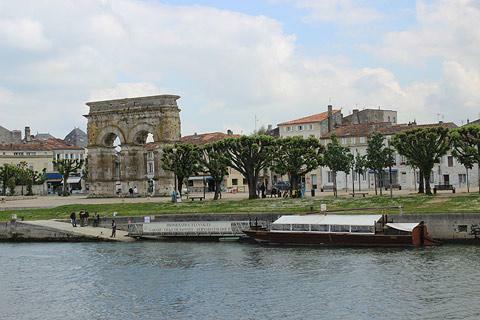 As we have said, Saintes has its origins in Roman times and you will notice this as soon as you arrive in the town centre and see the large Arch of Germanicus (a Roman triumphal arch) on the banks of the river, a good place to start your visit. The Arch of Germanicus is a triumphal arch that was was originally built at the entrance to a bridge crossing the Charente river. When the bridge was demolished the arch was moved to its current position. You can also find the Saintes Office of Tourism here. It is extremely helpful to get the town map from the Saintes Office of Tourism next to the Arch because Saintes is quite spread out (there is quite a lot of walking involved when exploring!) and it would be easy to miss some of the most important highlights without the map that shows suggested places to visit and routes to follow. 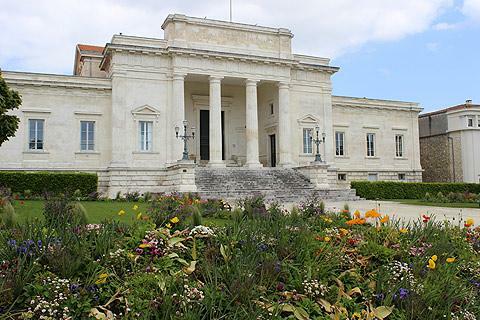 In the area immediately around the Arch de Germanicus you can also see the Archaeological museum where you can learn more of the town's Roman history. The most interesting part of the museum is the old abattoir that has been converted ino an exhibit hall that holds hundreds of ancient parts of statues, columns and other ancient decorative features. 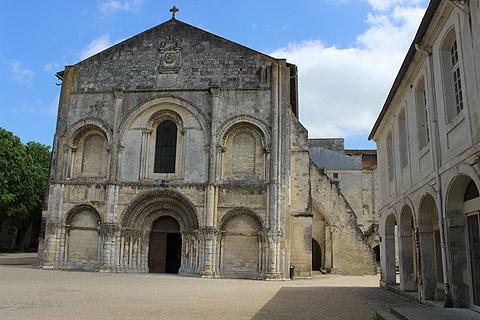 While you are on the east of the river you can now visit the Abbaye aux Dames and the adjacent Church of Saint-Pallais. These are a few hundred metres to the east of the Arch along the Rue de l'Arc de Triomphe. 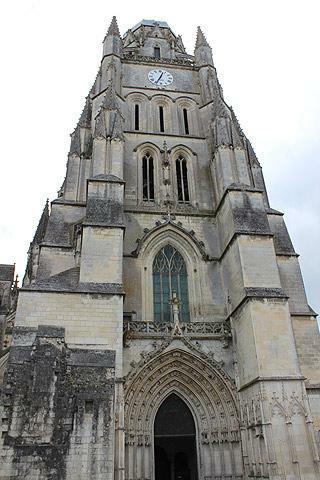 The Church of Saint-Pallais dates from the 12th to 15th centuries. The Abbaye aux Dames dates from the 11th century and for many centuries until the French revolution it was a convent for women. Many of the convent buildings that also surround the large square are now used for conferences and business meetings. 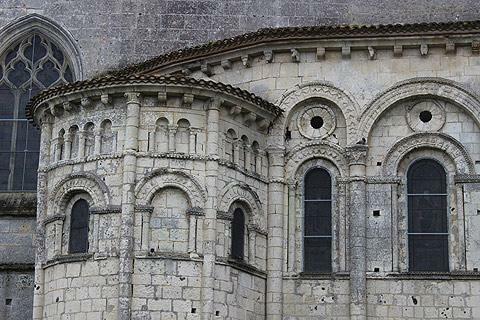 The highlight is the 12th century abbey church, and the ornately decorated entrance in the facade. 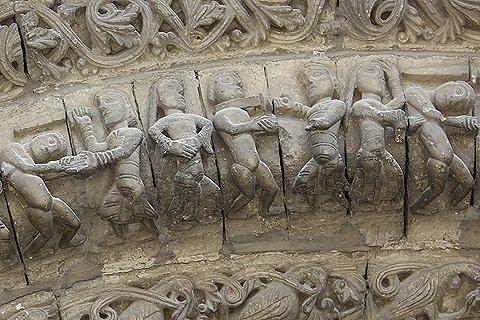 The carvings represent various Biblical stories such as the Massacre of the Innocents and the Last Supper. Returning to the Charente river, a short distance south of the Arch de Germanicus there is a large and very well maintained Public Garden. You can also follow a path southwards along the banks of the river which is picturesque. 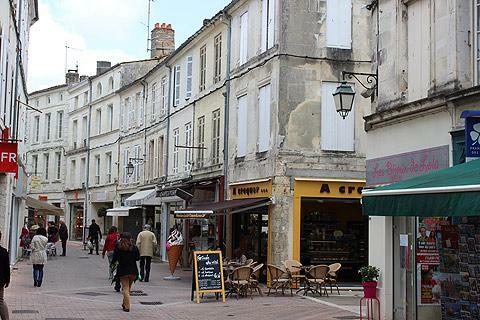 The southern edge of this historic centre follows the Charente river. Walk along the Quai de Verdun for attractive views across the river to the Arch de Germanicus and to the island and park. 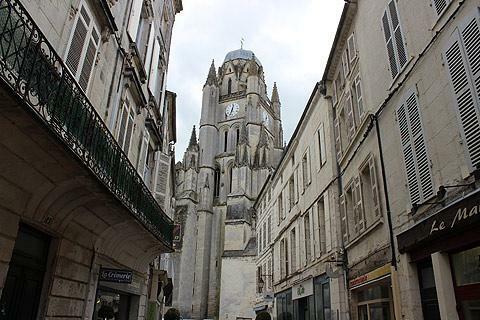 The principal monument in this part of Saintes is the Cathedral of Saint-Pierre. This cathedral was originally built in the 12th century although most of what you see today dates from the 15th to 17th centuries. The highlight is the decorative stonework around the entrance and the oldest remaining part of the church is the 12th century cupola of the south transept (to the right as you walk through the cathedral). Another highlight is the view across the cathedral and rooftops of Saintes from the viewpoint at the Logis du Gouvernor. 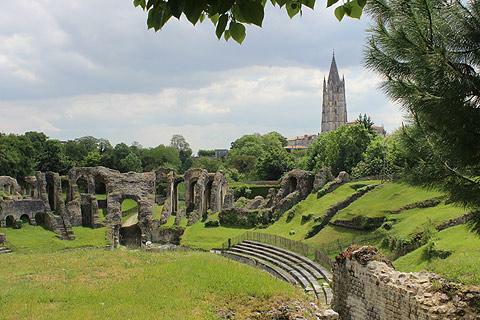 In the Place des Récollets there are some remnants of the 3rd century ramparts and you will discover various other small highlights as you explore. 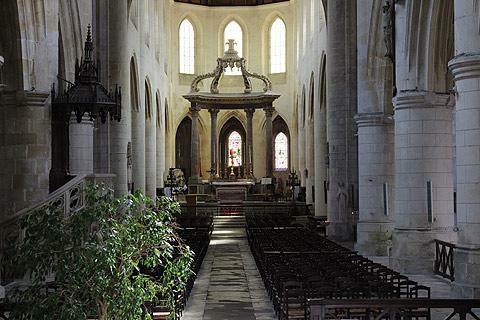 If you continue west from here you will discover what we consider to be the two most interesting monuments in the town: the amphitheatre and the Church of Saint Eutrope. Be warned a rather long walk and a rather steep hill are involved - nothing too strenuous but it does take a while (perhaps an hour altogether) to visit these two sites. To reach the Amphitheatre you follow a wooded valley called the Valley of the Arenas. 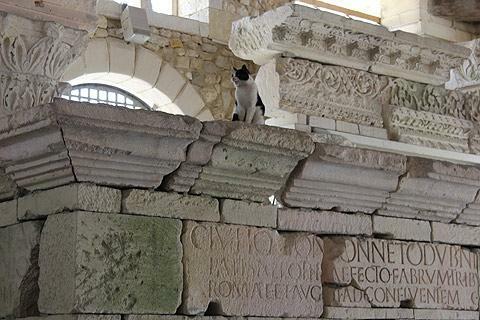 The ruins of the amphitheatre are in remarkably good condition, certainly the best we have seen in western France, and have the additional attraction of the views across the town and the Church of Saint-Eutrope. 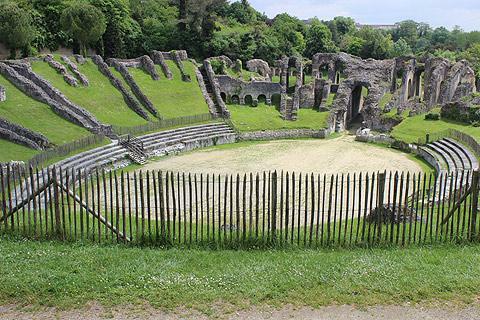 Unlike the arenas you might have seen elsewhere, the amphitheatre in Saintes was built in a valley so most of the seating was built on the natural slopes of the earth so there was no need for the substantial wall around the arena that you see in Rome or Arles, for example. 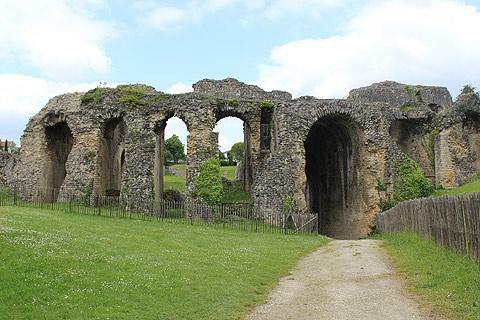 Built in the 1st century AD, the amphitheatre originally seated 15000 people and was used for gladiator fights and other 'games'. Entrance fee 2 euros. 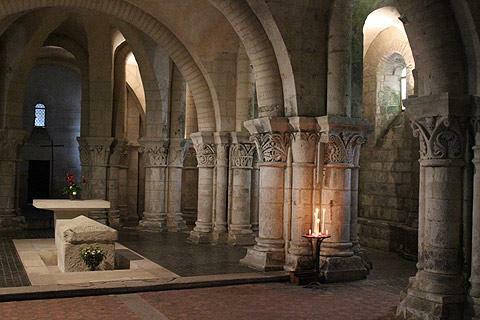 The Church of Saint-Eutrope in Saintes is listed as a UNESCO World Heritage Site as one of the pilgrimage sites on the Route to Santiago de Compostela. The building dates from the 12th century, although the large steeple was added in the 15th century. 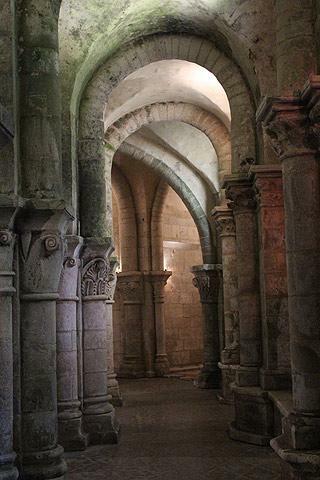 There is a great deal of beautifully carved stonework to see, with the crypt in particular being an exceptional site - almost an entire subterranean church with beatiful stone pillars and arches (the entrance to the crypt is separate to the entrance to the main church). 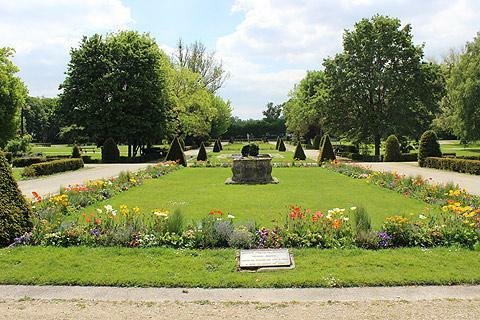 If you still have time to continue exploring Saintes you can visit the Haras National to the east of the Abbey aux Dames and explore the large park and see the Poitevin workhorse and the Poitou donkey (Monday to Friday, 2pm - 5pm) and the monuments to the north of the town centre along the route behind the 19th century Law Courts building. 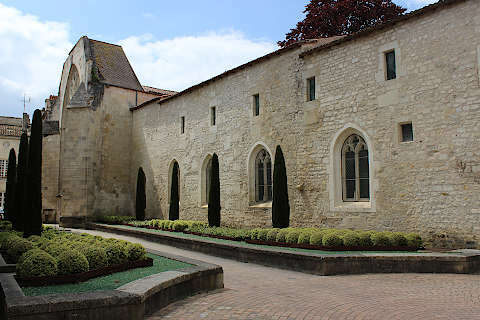 These include the Church of Saint-Vivien and the Saint-Saloine baths, built in the 1st century. 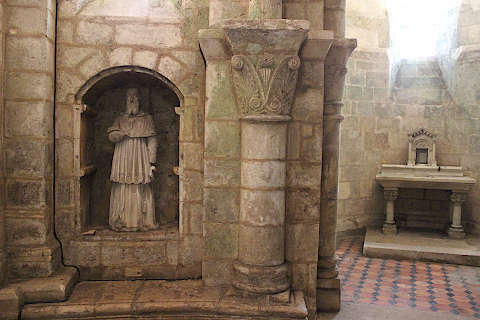 See also our Photo Guide to the monuments in Saintes. Not far from Saintes at Crazannes is the 'Pole nature de Crazannes'. This is a large quarry which once supplied the rock for Fort Boyard and the Saintes' Arch of Germanicus. It has now been given over to a nature reserve packed with trees, ferns and wild orchids. Many animal species have also taken up home. There is also a large rock wall which has been sculpted by different artists. Also nearby at Saint Cesaire is Paleosite, a park devoted to pre-history. The park covers 10 hectares and is the claimed to be the most modern pre-history park in the world. The park has been developed with the help of leading scientists in the field of prehistory life and has both indoor and outdoor exhibits with things of interest for both children and adults.